2564-RBTP-DST is rated 4.6 out of 5 by 14. Rated 3 out of 5 by Eve from Out of the box it is very attractive. It works like it should but cleaning is a pain as you need get between the faucets and the spout, a very narrow space. Other than that it is very nice. Rated 5 out of 5 by 614contractor from Great buy Was exactly what I expected. Came within 2 days. Rated 5 out of 5 by MelUsie from Nice functionality and appearance Recently installed the faucet and love the sleek design. Very happen with this purchase. 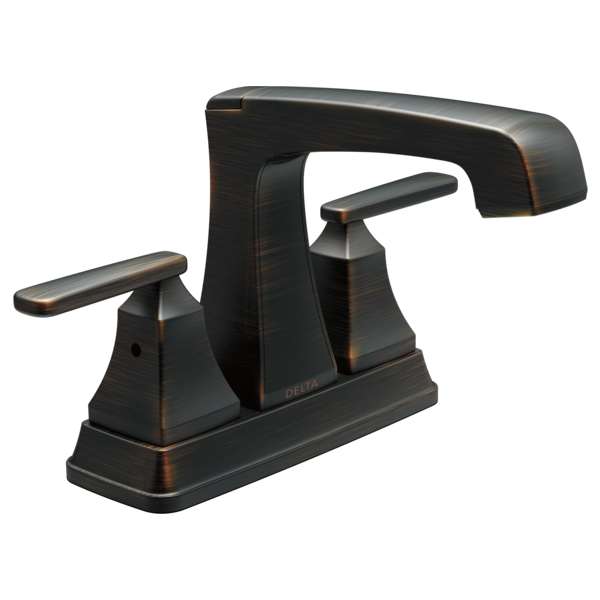 Rated 5 out of 5 by Giz from Delta Ashlyn Faucet We have used this faucet in several of the homes we have built--both the centerset and the wide spread faucet. The Delta line is very reliable; the style of the Ashlyn reinforces the clean, linear lines that most homeowners are attracted to at this time. It is a reliable product at a good cost. Rated 5 out of 5 by PamelaV from Love the color and shape! In order to create our updated contemporary look, we needed more square fixtures, but we needed them to match our oil rubbed bronze / Venetian bronze decor. These were perfect and reasonably priced. Super convenient to order online as well! Rated 5 out of 5 by ESPO from Love this faucet I love this faucet, the look is clean and modern. I functions well, is a good quality and value. It really completed the master bath look I was going for. I would definitely recommend it. I would buy this product again. I can't tell from the product description how this TP-DST differs from the MPU-DST, does it have something to do with the aerator?